[Harry Sackett] was born June 7, 1877, on the family farm northeast of Gobles, Michigan. He was raised there and was always very dependable and seemed to take a man's place in the work on the farm from the time he was twelve years old. He worked at home until he was about twenty-four years of age. Then for about four years he worked on a farm at farm labor. Then he worked in a hardware store for a time. After he married he ran a dray in Gobles for about a year and then went on to a farm and later purchased a farm of his own. At about the age of fifty he moved to Battle Creek, Michigan where he worked in the Kellogg Food Factory until a short time before his death. He was a religious man (Seventh Day Adventist), and, in the words of his brother, Frank, was a wonderful man. Andrew P Sackett, Ancestors and Descendants of Frederick Plummer Sackett, published by the author (1983), 120. Elizabeth Bronson, niece, single, 22, b. MI, servant, father b. CT, mother b. NY. "US, World War I draft registrations records 1917–1918", digital image, FamilySearch, Michigan, Van Buren County, Roll 1682902. "Serial no 596, Order no 1517, Harry Brent Sackett, 1 RFD Kendall, Van Buren, Mich, age 41, b. 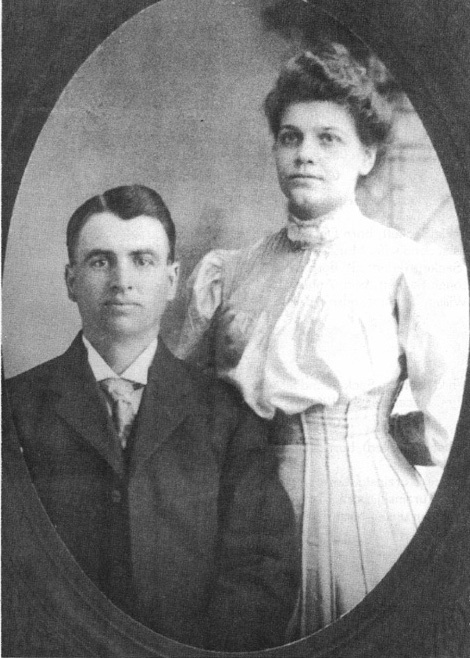 7 Jun 1877, white, native born, farmer, renter McNamara Est., 1 RFD Kendall, Van Buren, Mich, nok: Nettie Lucinda Sackett (wife), 1 RFD Kendall, Van Buren, Mich, Registrant: tall ht, medium build, brown eyes, brown hair. Reg 12 Sep 1918." Goff, Mary, boarder, 71, wid, b. NY, father b. NY, mother b. NY.